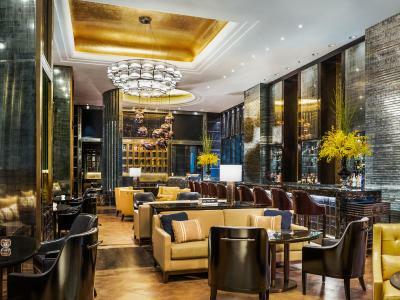 Lock in a great price for The St. Regis Kuala Lumpur – rated 9.2 by recent guests! Spacious facilities and friendly butler service whom were ready to serve us every time we called. Friendly staff (bell boy, breakfast area at the Brasserie). 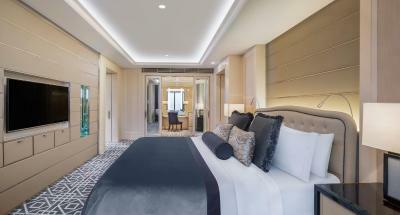 Super comfortable bed and great to have in room spa option for privacy and convenience. We were impressed with the interior of the hotels and we were delighted that it lived up to the expectation of the reputation/hype. All the rooms come with butler service and it's really convenient. The service was quick and efficient. 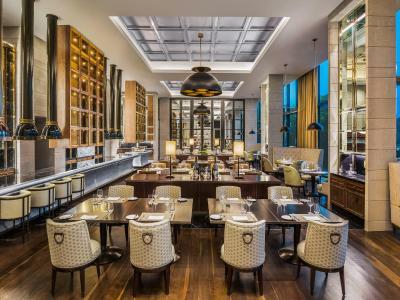 When you can't find a table at the lobby cafe and wish to spend time chatting with friends, you can invite them to seat at the couch while the butler make you a hot pot of tea or special coffees to serve your guests. Room and view was great. 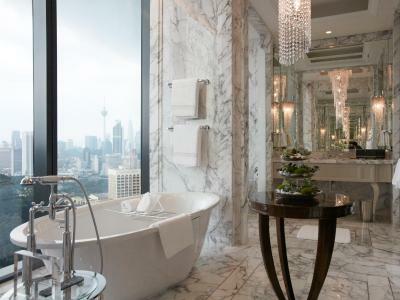 I had booked a KLCC view room but when I got to the room, it faced the other way. I called reception and all was sorted. Bed was fantastically comfortable and bathroom and dressing room were very handy. everything was great from staff till amenities, great hotel to feel like a VIP. Great service, lovely facilities and beautiful hotel. I love this hotel but the breakfast and service are poor. 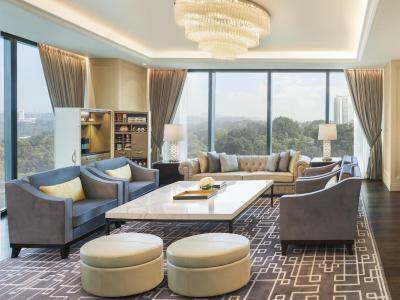 The St. Regis Kuala Lumpur This rating is a reflection of how the property compares to the industry standard when it comes to price, facilities and services available. It's based on a self-evaluation by the property. Use this rating to help choose your stay! 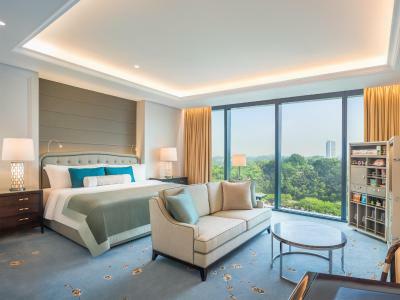 Featuring the largest standard guest rooms in KL, The St. Regis Kuala Lumpur features luxurious accommodations in the convenient location of KL Sentral in Kuala Lumpur. Free WiFi, a swimming pool, sauna, and fitness center are available at the hotel. 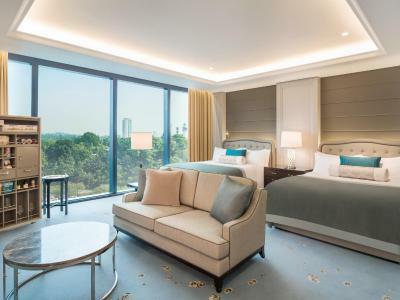 The St. Regis Kuala Lumpur ensures every need is catered to with its floor-to-ceiling windows, while the rooms offer exceptional views of the Lake Gardens and the KL skyline. 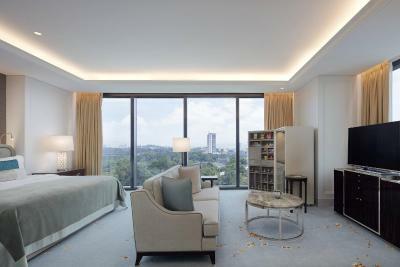 All rooms boast a large seating area and walk-in wardrobe with abundant closet and luggage space. 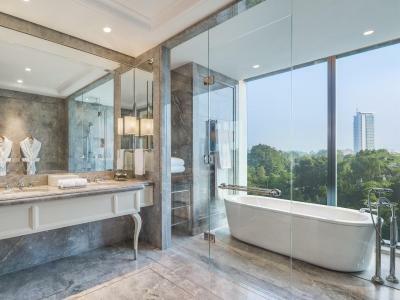 Each room also has a vanity table with ample lighting. A study desk equipped with HDMI media hub and international plug points are available. 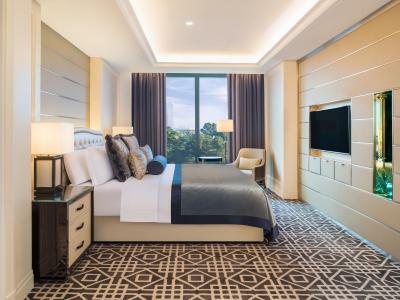 Specialty Suites feature an in-room Massage Room, Security Room for personal security detail, his-and-hers walk-in wardrobes and bathrooms. Suites can also be converted into multi-unit accommodations for groups and families. 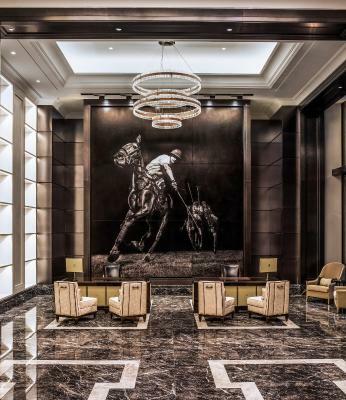 Inspired by the Astors, all rooms are thoughtfully detailed with subtle tributes such as saddle stitching, stirrup buckles and multi-faceted crystal cabinet knobs. 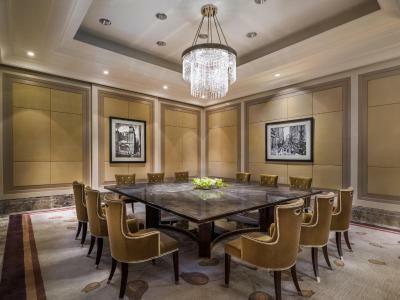 At The St. Regis Kuala Lumpur you will find a 24-hour front desk, meeting room facilities and concierge services. 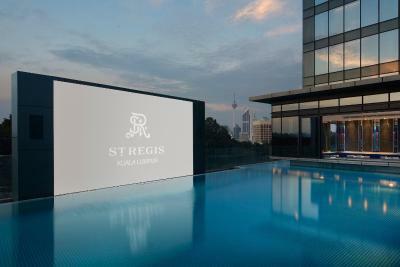 When would you like to stay at The St. Regis Kuala Lumpur? 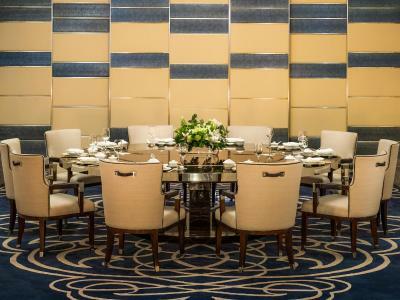 House Rules The St. Regis Kuala Lumpur takes special requests – add in the next step! One older child or adult is charged MYR 180 per person per night in an extra bed. 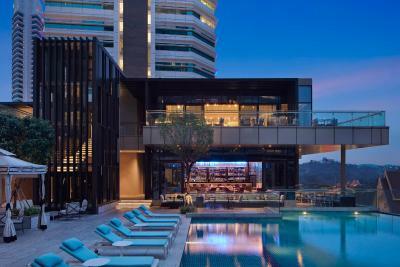 The St. Regis Kuala Lumpur accepts these cards and reserves the right to temporarily hold an amount prior to arrival. 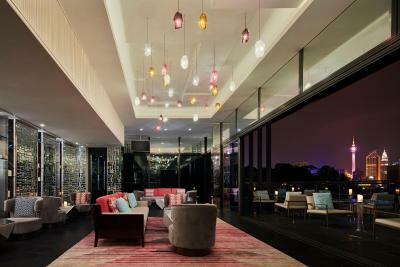 Please note that the property's valet parking and self-parking services for non-guests are subject to additional charges. Checking out staff not very friendly. Contrived politeness coming from reception staff. 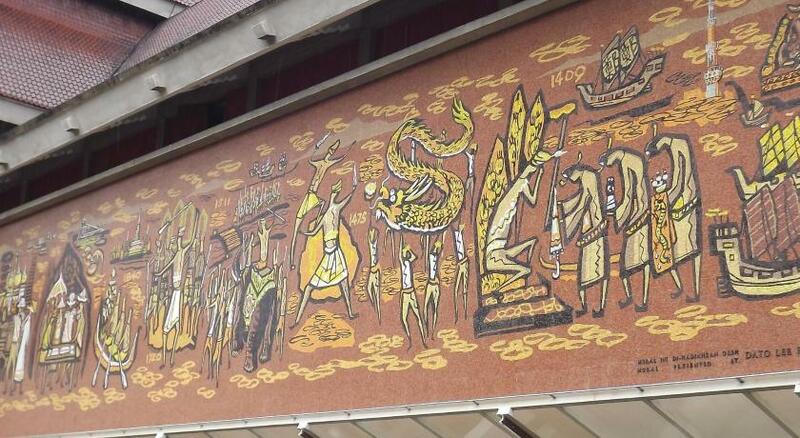 No direct access to NuSentral makes it slightly inconvenient. No dual bedside access to electrical points (for twin room) Limited TV channels. One friendly butler who was sincere in his service. Awesome hotel. Everything I like. 1. Breakfast spread was so-so (mediocre) for such a highly rated Hotel. Not much varieties and coffee quality is also not something that you will remember. 2. We ordered in room dining (customized satay set) which we asked clearly for the portion size before placing the order. We were assured it was the "usual satay size". Usual here locally means using the normal stick not the large size skewers (kebab size). So we ordered 10pcs for 2 pax. It took too long for them to prepare, about 40mins (nobody mentioned it will take that long), we had to call again to follow up and was promised another 5mins. When it arrived, to our horror, the portion was too big, and the meat was a bit too salty (we could only finish 5 skewers) and another half gone to waste. Only compliments were the peanut gravy which was superb! 3. Another note, upon checking in, we mentioned that we have 2 separate cars and asked if we can get 2 complimentary parking passes instead of 1. This was assured upon check in, but not when we were checking out. In fact, the reception staff processing the request "made a face" before checking with his colleagues (who agreed on that). I wouldn't expect this especially when we booked a Suite. 4. Between comfort and practicalities, i do think the sofa provided for check in counter is a bit too low (not the same height of the desk) making signing/reading/checking the receipt not comfortable enough. The front desk wasn't friendly. No information regarding breakfast was provided. I had to call and check. Didn't know who my butler was, did not see him/her at all. Lovely hotel. Super comfortable bed. We love the toilet and the walk-in wardrobe. The room is beautifully decorated. Will be back again! Nothing much to fault here. The afternoon hi tea session was the highlight of our stay. We requested to have it in our room instead of at the restaurant. The food was excellent. Room was large and bed was comfortable. home away from home. 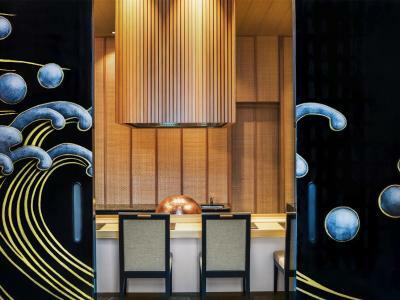 the gold standard for hotels. everything about it is awesome. My notes on birthday decoration for the room was unnoticed by receptionist. 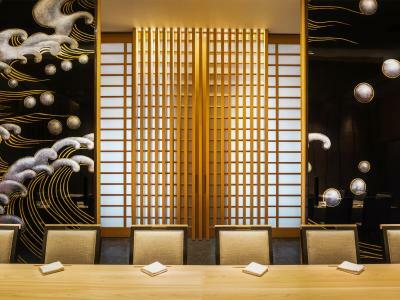 However after informed them, the staff was quickly respond and everything was settled by 20 minutes only. From Entrance of the building to the hotel room, butler service and all things inside building was sensational. The linen was a bit too rough for the skin. Maybe the hotel would consider investing in a higher tread count bed sheets. Also it would been nice to have a vanity mirror for the ladies.